CruiseCompete has released its CruiseTrends™ report for the month of June 2016. This report is sponsored by © EyeforTravel Ltd.
We have mined our wealth of data to provide information on the most popular cruise trends among consumers, including the top ships, lines and travel dates for premium, luxury and river cruising. The CruiseTrends™ report for June 2016 is detailed below. To see more topics and data, please visit CruiseCompete’s pressroom or click here to see the entire June 2016 report. This cruise trend information is available monthly from CruiseCompete and can be insightful, especially for financial analysts and travel writers. To see 12-months of cruise trend data, please click here: http://www.cruisecompete.com/cruise_trends.php. For purposes of the CruiseTrends™ report, cruise lines recognized as premium or contemporary are grouped together as premium/contemporary. The CruiseCompete CruiseTrends™ report is sponsored by © EyeforTravel Ltd.
CruiseCompete has been the premier online cruise marketplace since 2003 (see media praises). Consumers come to CruiseCompete to research and book cruise vacations and have received 14 million quotes since 2003. They can compare offers from trusted travel agents, see consumer reviews of agents and agencies responding, then contact travel agents directly for more information and to book cruises. CruiseCompete is a member of the Family Travel Association, the leading authority and resource for family travel information and is home to the 2016 Family Friendly Cruise Travel Planner at Travel Resources. 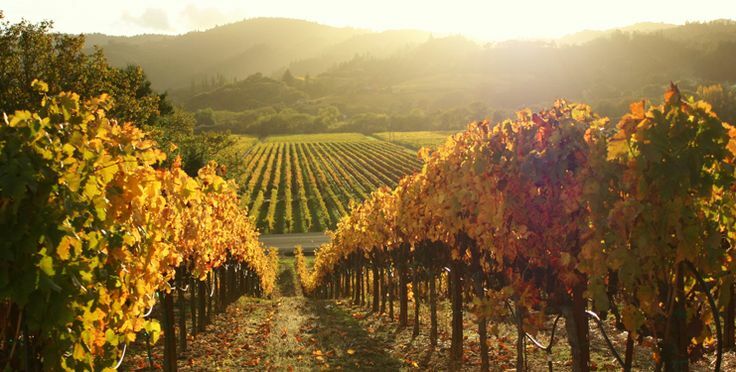 For California wine lovers, one of the most enjoyable experiences is the chance to sip while overlooking spectacular scenery—from hillside vineyards and snow-capped mountains to redwood forests and rugged beaches. With the National Park Service hosting Centennial events this year, it’s a great time to pair park scenery with a nearby wine country experience. Many travelers to California’s 27 national parks pass through or near wine regions. To help these visitors with their journey, Wine Institute has put together a list of great wine regions near national parks. With 138 AVA’s (American Viticultural Areas) and 100-plus winegrape varieties across the Golden State, wine consumers can find their favorite wines and discover new ones on their way to great parks from Yosemite in the High Sierra or to Joshua Tree in the desert. Like the stewards of California’s national parks, winemakers and growers also feel a deep connection to the land, making California a world leader in sustainable winegrowing, providing an outdoor experience that eco-travelers can appreciate. If going in June, visit the Mendocino County wine region on the way to or fromRedwood National and State Parks, home to the world’s tallest trees. The parks are hosting the Centennial Festival (June 26), featuring talks and activities celebrating the parks’ heritage and contribution to the region. The parks border Mendocino’s wine region, which has a high percentage of vineyards farmed with sustainable, organic or biodynamic practices. The region produces a wide variety of wines, including Pinot Noir and Alsatian varietals. After wine tasting, enjoy an overnight stay in the picturesque Mendocino village, listed on the National Register of Historic Places. A great time to visit is during the Anderson Valley/Yorkville Highlands Barrel Tasting Weekend (July 23-24), where visitors have unprecedented access to winery cellars, including tastings of yet-to-be-released wines and the chance to purchase futures of barrel tastings at a discount. Ninety minutes north of San Francisco, Point Reyes National Seashore features ocean waves crashing against rocky headlands, expansive beaches, grasslands and forested ridges. This scenic park pairs well with the Sonoma County and Lake County wine regions. Gourmet farm and vineyard dinners are common in these areas—along with great wine, homegrown culinary culture and the great outdoors. This June 24 don’t miss the Russian River Valley Somm Challenge, where guests can judge which of three top sommeliers picked the best wine for each course created by celebrity chefs. The place to be on Labor Day Weekend is the Sonoma Wine Country Weekend, featuring more than 200 wineries and chefs, a Taste of Sonoma event and popular Sonoma Valley Harvest Wine Auction. In Lake County, be a judge for the day and vote for your favorite wines from the region’s Wine Awards Competition at the People’s Choice Wine Tasting July 30. Point Reyes National Seashore will host various centennial events this summer, such as the Western Weekend Parade (June 4-5), Big Time Festival (July 16) and Sand Sculpture Contest (Sept. 4). Muir Woods, north of San Francisco and home to towering redwoods, is just an hour’s drive to the Napa Valley wine region. Recognized on the global stage at the Judgment of Paris in 1976, Napa Valley wines have found an equal match in the region’s cuisine. If in town July 15-24, try the 11th Annual Festival Napa Valley, an event the New York Times calls a “feast for the senses.” This 10-day experience features top music, gourmet cuisine, fine wines and lifestyle programs. San Francisco’s Fisherman’s Wharf is home to the Maritime National Historic Park, with its fleet of historic vessels, visitor center and maritime museum. Their centennial events include the Festival of the Sea (August 20), the Sea Music Concert Series (Sept. 17 and Oct. 15) and other ongoing programs. The city is a short drive to the historic Livermore Valley wine region. Visit July 21-24 to enjoy Livermore Valley’s Taste Our Terroir, featuring 19 wineries, partnering with Bay Area restaurants, as well as cooking classes, vineyard tours and seminars. Tahoe National Forest, an 800,000-acre national forest just east of Sacramento, offers year-round hiking, camping and skiing near beautiful Lake Tahoe. Add a visit to the Sierra Foothills wine region, the heart of California’s Gold Country, known for its rich history and red wines. Check out Amador, Calaveras, El Dorado,Nevada and Placer counties. The El Dorado Wine Association’s Blind Barrel event on June 25 with 16 wineries celebrates the repeal of Prohibition and the passage of the Twenty-first Amendment to the U.S. Constitution on Dec. 5, 1933, with hosts dressing in period garb serving local wine on a Gold-Rush era homestead. This fall, Amador hosts the Big Crush Harvest Festival (Oct. 1-2) where guests can take in the harvest scenes in the vineyards and crush pads and enjoy food and wine pairings, live music and family activities. On the way to Tahoe, stop by the Lodi wine region, known for old-vine Zinfandel and home to 80 wineries. Celebrate the harvest with the Lodi Grape Festival (Sept. 15-18), featuring murals and competitive exhibits, a music concert, wine and food tastings and more. Rock-climbing mecca Yosemite National Park is world renowned for its soaring granite walls and cascading waterfalls. The park will host special events for the 100th anniversary of the National Park Service (Aug. 25) with educational talks and recreational activities, such as a “Yosemite Anniversaries” symphony performance. Madera County vineyards are on the way to Yosemite. Visit the Madera Wine Trail, featuring local wineries serving their acclaimed dessert, port-style and late-harvest wines, among others. The region’s Wine Trail Weekend (Nov. 12-13) will kick off the holiday season for wine lovers. Those going to Sequoia & Kings Canyon National Parks can visit Fresno State Winery, the first university in the U.S. to have a fully licensed winery. Taste or buy the wine at Fresno State Gibson Farmers Market where offerings are all harvested, created and grown by Fresno State students, or check out Grape Stomping Good Times (Aug. 27). Rising out of the Gabilan Mountains is Pinnacles National Monument, the remains of an ancient volcano with massive monoliths, spires and sheer-walled canyons. The park will celebrate the centennial with activities such as monthly Night Hikes, Stargazing Nights, volunteer service days, a National Trails Day Celebration (June 4) and an Eastside Centennial Celebration (Sept. 24). The park is an hour from Monterey County wine region and about 90 minutes from Paso Robles wine country, both scenic areas to explore, wine and dine. Wines from Monterey and the nearby Santa Cruz Mountains wine region were both recognized in the “Judgment of Paris” tasting. While in Monterey, check out its Taste of Monterey Visitor Center where the area wines can be tasted in one stop. On June 18, stop by the 12th Annual Art & Wine Festival in quaint Carmel,featuring regional wineries, local bands and family activities from pony rides to arts and crafts. If exploring Paso Robles wine country, a hot spot for Rhône blends and other classic and emerging varietals, tour the rustic downtown plaza or nearby Hearst Castle on the coast. Attend the Harvest Wine Weekend (Oct. 14-16), where guests can enjoy 140 weekend activities, including winemaker dinners, grape stomps, barrel tastings, artisanal food pairings, live music and more. Take a short ferry ride or boat tour from Santa Barbara wine country or Ventura wineries to Channel Islands National Park, known as the “Galapagos of North America.” The park’s centennial activities include an ongoing lecture series and special events at the Museum of Ventura County. Get more inspiration with a visit to Santa Barbara wineries, immortalized by the 2004 film “Sideways,” which celebrated the area’s Pinot Noir. Santa Barbara Harvest Weekend is Oct. 7-10, and includes a grand tasting at Mission Santa Inés in Solvang. This desert park has beautiful Joshua trees and a variety of plants and animals in this land shaped by strong winds, rains and climatic extremes. Adding to the attraction of this place are dark night skies for astronomy buffs and surreal geologic features. A visit to Joshua Tree could include a tour of Temecula wine country, about 2.5 hours southwest. Tempered by coastal fog, this region is known for its Italian and Rhône varieties. A great way to sample wines is with the Sip Temecula Wine Tasting Passport during weekdays where guests can choose experiences at five of 17 participating wineries. Sand dunes, volcanic cinder cones, Joshua tree forests and carpets of wildflowers are found at the 1.6 million-acre Mojave National Preserve, where visitors can take part in ongoing Artist in the Park Centennial Observances, as resident artists share work in various mediums about the area’s historic structures, desertscapes and night skies. A visit to its mountains reveal abandoned mines, homesteads, and military outposts. Stop and stay on the way to Los Angeles in the Cucamonga Valley, known for historic wineries specializing in old vine Zinfandels and port wines. A cool happening in the region is the Los Angeles Food & Wine Festival(Aug. 25-28), featuring tastes from 150 celebrity chefs and 300 wineries. Visit discovercaliforniawines.com for information on wine regions, wines and wineries throughout California. The Golden State is first in the U.S. for wine and food tourism with dozens of distinct wine regions, 138 American Viticultural Areas and 4,400 wineries that produce 85 percent of U.S. wine. Established in 1934, Wine Institute is the public policy association of nearly 1,000 California wineries. See:wineinstitute.org. Alcatraz announced today that it is participating in Partners in Preservation (PIP), a community-based partnership of American Express and the National Trust for Historic Preservation to raise awareness of the importance of preserving historic places, which is embarking on its first national campaign in the program’s 10-year history. In honor of the National Park Service’s Centennial, the 2016 Partners in Preservation: National Parks campaign will award $2 million in grants to historic sites in need of preservation within national parks units, as decided by popular vote. As one of 20 historic places selected, Alcatraz Island—the site of pre-Civil War fortifications, the nation’s first military prison, and the site of the occupation that helped ignite the movement for American Indian self-determination—hopes to be one of the winners of the campaign. More than 1.5 million annual visitors pass through the 1857 Alcatraz Guardhouse, a place that is also significant as the first permanent U.S. defensive facility in San Francisco Bay. Winning a$250,000 grant will help restore historical rifle slit window openings and install replica doors to revitalize the structure to its 1920s appearance. The project will also provide additional interpretive opportunities of the island’s military history. The public is encouraged to vote for their favorite parks today through July 5 on VoteYourPark.org, the online portal hosted byNational Geographic, this year’s media partner, to determine which sites will receive preservation grants. The public is also invited to share their experiences on social media and celebrate these sites using #VoteYourPark. The Partners in Preservation: National Parks campaign gives enthusiasts the opportunity to show their support for their favorite historic sites through a popular vote. At the outset of the campaign, friends groups for each of the 20 participating sites within national parks will receive a grant of $10,000, which will be used to increase public awareness about the historic structures nominated. The national parks’ sites with the most votes at the end of the voting period will be awarded grants for historic restoration projects. By voting daily at VoteYourPark.org, supporters can also enter a sweepstakes for a chance to win a trip to Yellowstone National Park sponsored by National Geographic. New to the program for 2016 is a collaboration with National Geographic, a partner with strong ties to U.S. National Parks as well as historic preservation. As the media partner, National Geographic is launching a consumer engagement campaign across its digital and social platforms promoting Partners in Preservation: National Parks and inviting people to vote. The public can get involved by visiting savingplaces.org/partners-in-preservation for more information and voting daily through July 5 at VoteYourPark.org. Partners in Preservation is a program in which American Express, in partnership with the National Trust for Historic Preservation, awards preservation grants to historic places across the country. Since 2006,Partners in Preservation, a community-based partnership, has committed $16 million in preservation funding to nearly 200 diverse sites in eight different cities across the country. Through this partnership, American Express and the National Trust for Historic Preservation seek to increase the public’s awareness of the importance of historic preservation in the United States and to preserve America’s historic and cultural places. The program also hopes to inspire long-term support from local citizens for the historic places at the heart of their communities. The Golden Gate National Parks Conservancy is the nonprofit membership organization that supports the Golden Gate National Parks—the most-visited unit in the national park system in the U.S. Since 1981, the Parks Conservancy has provided over $300 million in aid for site transformations, habitat restorations, research and conservation, volunteer and youth engagement, and interpretive and educational programs. The Conservancy’s work is made possible through the dedication of its members and donors; contributions from foundations, businesses, public agencies, and generous individuals, as well as earned income from the operation of park stores, cafes, and tours. Learn more at parksconservancy.org or call (415) 561-3000. Alcatraz Cruises was recently honored as one of three candidates for the Environment category from World Travel & Tourism Council’s (WTTC) Tourism for Tomorrow award. The award, which was presented at a special ceremony during the 16th WTTC Global Summit in April, showcases business leadership in sustainable tourism and ground-breaking initiatives. WTTC has been committed to promoting sustainability in the travel and tourism industry ever since it was established over 20 years ago. The WTTC Tourism for Tomorrow Awards are aimed at recognizing best practices in sustainable tourism within the global industry, based upon the principles of environmentally friendly operations, support for the protection of cultural and natural heritage and social and economic well-being of local people in travel destinations around the world. In addition to the Environment Award, nominations and winners were named in these additional categories: Community; Destination; Innovation; and People. Alcatraz Cruises actively promotes sustainability efforts in San Francisco and throughout the maritime industry. Alcatraz Cruises was the first to run hybrid ferry service in the country, had the first fleet in North America and the first passenger vessel company to consistently reach recycling diversion rates of 94%-96% consistently for the third year in a row, landfill diversion as verified by audits. Additionally, Alcatraz Cruises is certified under numerous international standards of the International Standards Organization (ISO) because the company has always and continues to perform at the highest levels for health and safety, quality and the environment. According to Margaret E. Foster-Roesner, Director of ISO, Training and Sustainability, the company’s Respect Our Planet program initiatives are weaved throughout the entire organization and activities of Alcatraz Cruises. For more information, visit www.alcatrazcruises.com, call (415) 438-8342 or email mfoster-roesner@respectourplanet.com. Alcatraz Cruises is the National Park Service concessioner of ferry service to Alcatraz Island in San Francisco Bay. Alcatraz Cruises hosts nearly 1.5 million visitors annually. Alcatraz Cruises designed, built and operates the first hybrid ferry in the United States. The Hornblower Hybrid’s revolutionary design has reduced fuel consumption by 75% and has already begun to be implemented in other parts of the country. For more information visit: http://www.alcatrazcruises.com. TripAdvisor recently revealed the winners of its 2016 Travelers’ Choice Awards for Landmarks in the United States, for which Alcatraz was named number 3. Visit http://www.alcatrazcruises.com for more information about Alcatraz tours and to purchase tickets, up to ninety days in advance. Alcatraz Cruises is the National Park Service concessioner of ferry service to Alcatraz Island in San Francisco Bay, which is part of the Golden Gate National Recreation Area, one of America’s 407 National Park sites. Alcatraz Cruises hosts nearly 1.5 million visitors annually. Alcatraz Cruises designed, built and operates the first hybrid ferry in the United States. The Hornblower Hybrid’s revolutionary design has reduced fuel consumption by 75% and has already begun to be implemented in other parts of the country. For more information visit: http://www.alcatrazcruises.com. Alcatraz Cruises was recently honored as one of three candidates for the Environment category from World Travel & Tourism Council’s (WTTC) Tourism forTomorrow award. For more information, visit www.alcatrazcruises.com, call(415) 438-8342 or email mfoster-roesner@respectourplanet.com. According to Pacifica Chamber of Commerce CEO Vickie Flores, this beach-front destination will be hosting its 14th Annual “Taste of Pacifica” event on Saturday, June 4, 2016 from Noon to 3:00 p.m. at the very cool coast side location Surf Spot Restaurant. Their outside dining area will be a great backdrop for this event as ocean views can be seen from their accessible roof top balcony. “Taste of Pacifica” features many local restaurants that will offer culinary samples, which can be enjoyed alongside a variety of wines and live music. Some of the participating restaurants include: A Grape in the Fog; Beach Monkey Café; Colombo’s Delicatessen; Farmers Market; Devils Slide Tap Room; Guerrero’s Taqueria 2; Kenny’s Chinese Food; Luigi’s Fine Italian Ristorante; Moonraker Restaurant; Nick’s Seashore Restaurant; Oceana Market & Deli; Pacific Java Café; Paisanos Trattoria & Pizzeria; Salada Beach Café; Sun Valley Fine Foods; Surf Spot; and Tam’s Cuisine of China. Throughout the event, wine tasting will be offered by A Grape in the Fog. Also during the event, there will be a silent auction, which features everything from dining and gift baskets, getaways and attractions to sports and entertainment memorabilia. Musical entertainment will be provided by the Off Shoots Band. They will also have a surprise for our guests. Proceeds will support the Pacifica Chamber of Commerce & Visitor’s Center’s ongoing strategic efforts in focusing on the core needs of the membership and marketing Pacifica as a tourist destination. All this combined to keep Pacifica thriving as a vital and vibrant community. Tickets are $35 in advance or $40 at the door. To purchase tickets in advance, call the Chamber of Commerce office at (650) 355-4122 or visit http://www.pacificachamber.com. For those who want to make a weekend out of the festivities, Pacifica offers six lodging options in the low budget to moderate price range and all are within a short drive to Sam’s Castle and within walking distance to Pacifica’s beaches. Maligne Lake Cruise in Jasper National Park! 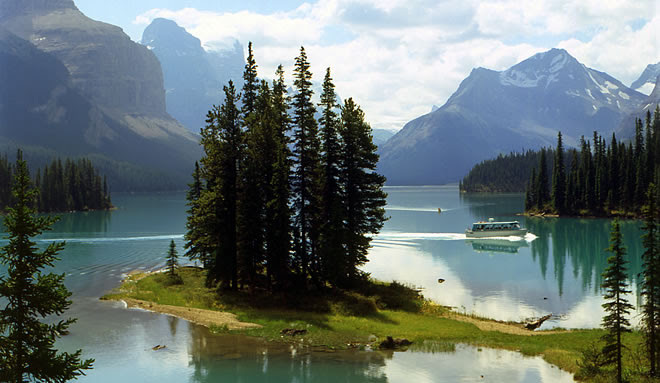 Brewster Travel Canada is thrilled to announce the Maligne Lake Cruise in Jasper National Park will officially open for the season on Saturday, May 7, 2016! We encourage you to reconfirm your reservations 48 hours prior to travel by contacting Dianne Scott atDscott@brewster.ca. Please feel free to contact your Sales Manager directly or email sales@brewster.ca for additional information or any questions or concerns. CruiseCompete has released its CruiseTrends™ report for the month of May 2016. This report is sponsored by © EyeforTravel Ltd. The CruiseTrends™ report for May 2016 is detailed below. To see more topics and data, please visit CruiseCompete’s pressroom or click here to see the entire May 2016 report. Second are 5 nights for premium/contemporary, 10 nights for luxury and 15 nights for river. This cruise trend information is available monthly from CruiseCompete and can be insightful, especially for financial analysts and travel writers. To see 12-months’ of cruise trend data, please click here: http://www.cruisecompete.com/cruise_trends.php. CruiseCompete has been the premier online cruise marketplace since 2003 (see media praises). Consumers come to CruiseCompete to research and book cruise vacations and have received 14 million quotes since 2003. They can compare offers from trusted travel agents, see consumer reviews of agents and agencies responding, then contact travel agents directly for more information and to book cruises. CruiseCompete is a member of the Family Travel Association, the leading authority and resource for family travel information and is home of the 2016 Family Friendly Cruise Travel Planner at Travel Resources. Pacifica is just a stones’ throw away from AT&T Park, home of the San Francisco Giants. And, with easy access to Bay Area Rapid Transit (BART), which can get visitors close to the ballpark without driving, this ocean-front destination is the ideal playing field for anyone interested in economizing when they come to the Bay Area for a baseball and outdoor getaway. As the Giant are in full swing right now with the 2016 season, Pacifica features affordable accommodations, free parking and a plethora of outdoor adventures to complement baseball enthusiasts’ need for fanfare. Featuring everything from world-class surfing, mountain biking and hiking to fishing, scuba diving and hang gliding, Pacifica is an ideal getaway for anyone interested in spending their leisure time on a fresh outdoor vacation. Surfing: -Pacifica is home to some of Northern California’ best surfing beaches, including Linda Mar State Beach, Rockaway Beach and Sharp Park Beach. Biking:– Pacifica is known in the bike community for its network of trails that overlook the Pacific Ocean. Whether pedaling a road bike or mountain biking, Pacifica features everything from leisurely rides along the paved coastal trail or ascending the flanks of Montara Mountain, towering 2000 feet above Pacifica. Hiking: -There are over a dozen trails spanning many miles of ocean view treks for beginners to the most advanced. From the leisurely Mori Point coastal walk to the more advanced terrain of Sweeney Ridge, there is a hike for every level of fitness. Fishing: – Some of the best fishing in the United States can be found in the inshore waters off Pacifica. In addition to salmon, striped bass often frequent the surf along with kingfish, sharks and perch. Although rare, sturgeon, barracuda and bonito frequent the coastal waters of Pacifica. Crabbing: Pacifica Pier is the only place in the Bay Area where the public can crab for free. During the winter, Dungeness crab, which are not available elsewhere in the Bay Area, are abundant off the pier; in the spring, catch perch at Linda Mar Bay; in the fall, go rock fishing off Pedro Point. Scuba Diving: Linda Mar Beach is an intermediate-to-advanced beach entry scuba-dive site with a diverse aquatic life, such as seals, fish and rays. In May and June, halibut come into Linda Mar Bay, which attracts many divers spearfishing for this prize fish. At Pedro Point, two wrecks lie on the ocean’s bottom in approximately 30 to 40 feet of water. Golf: Sharp Park Golf Course is located just off the Pacific Coast Highway at the intersection of Sharp Park Road and Francisco Boulevard. The famous golf architect Alister Mackenzie designed the 18-hole course. Archery: San Francisco Archers is a non-profit organization that promotes archery at all levels of ability and age. The club is open to the public every day. Segway Tours: The many well-maintained and level trails along Pacifica’s beautiful beaches lend themselves to Segway rides. Begin your ride at Rockaway Beach and the trail wends through a rock quarry to climb up 12 scenic switchbacks over Pacifica’s Strawberry Hill to Linda Mar Beach and beyond.